The tour commences at our Cellar Door on Hobart's Waterfront for a brief welcome (and a whisky) before we travel out to our distillery, just 15 minutes North-East of the city. Once at the distillery we are able to get up close to the entire production process and witness the science, art and passion that goes into making every bottle of Lark Single Malt Whisky. 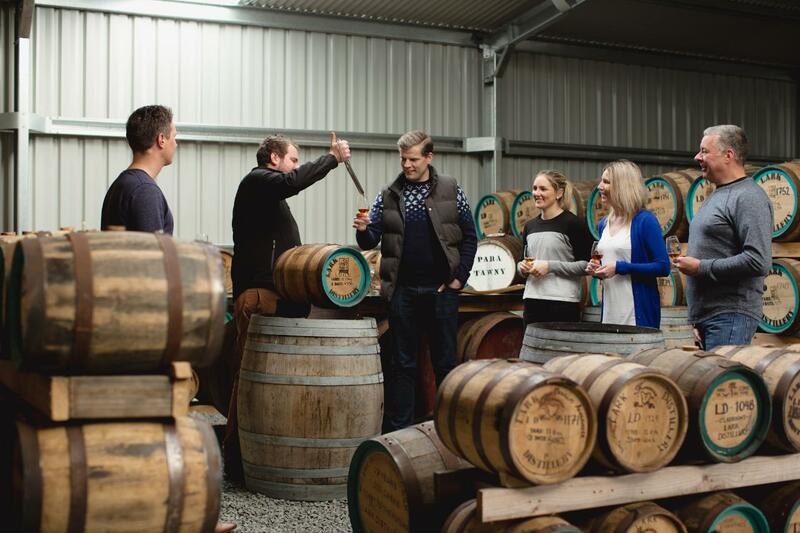 The tour finishes with a tour-exclusive tasting of Lark whiskies straight from the cask, surrounded by our future releases in our bond store, before returning to the Cellar Door to conclude with a final dram. For any enquiries please email tours@larkdistillery.com.au or call the Cellar Door on (03)62319088.